Note: in 1951, three cars, 90813, 90886 and 90925 were equipped with bulkheads spaced 44’-11” apart and 6’6” high for wallboard service. 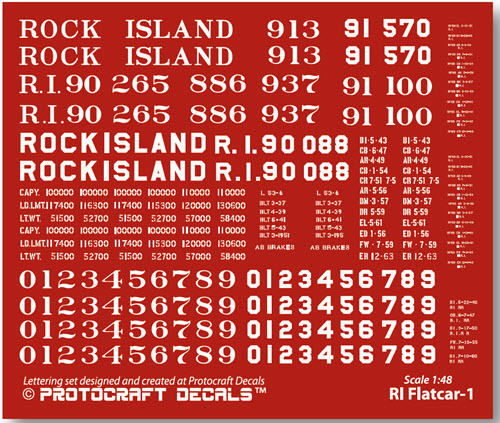 Paint & Lettering: Cars were painted with Rock Island’s freight car red TCP197; lettering with all-white stencil paste. No end lettering.